2017 in review – what a year! Kids had a good start to the year in January taking part in ski race training at the Cairngorms. It proved to be a little milder than usual so they didn’t have as good a season as they’d have liked but we’re hoping for more snow this year. February saw us win the Highland Business Awards “Best Low-Carbon Business”. We were truly honoured by this award, sponsored and presented by Royal Dutch airline KLM. February also saw us gain planning consent for our on-site eco-café, now under construction. It should be ready in the spring of 2018. More details including architect’s impressions are available. February also saw two McKenzies in hospital. Sophia with a twisted knee from skiing, and Dad for a shoulder op for…. skiing! Being active can have its downsides! On the bright side, Sophia made a quick recovery and I was able to plan the year ahead including all the café build, rebranding, new website, new Wi-Fi and new online-booking engine. I rented an indoor bike to keep fitness (and sanity) going during recovery. We also had a tiny leak in one of the cottages on the farm not used as holiday accommodation. This ended up being a big undertaking including a whole new roof and bathroom for the cottage which was (luckily) covered by insurance. March also saw us travel to Edinburgh for the finals of the Scottish Rural Awards. 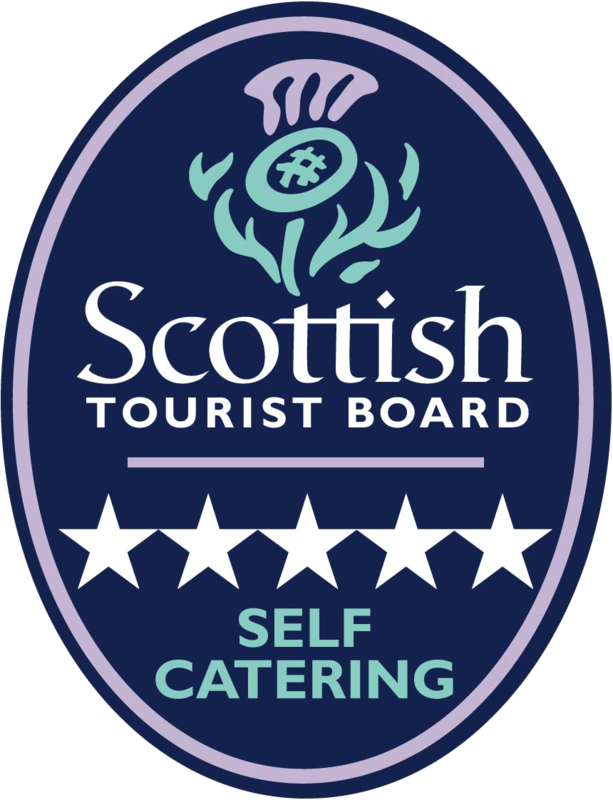 We were shortlisted for “Best Hospitality Provider in Rural Scotland”; maybe this year we’ll win it. We went with Glenwyvis too who are in the same boat. They’re in the “New Business” category but were short-listed last year and are hoping for a win this year – how good for Dingwall would that be?! The end of March was Daddy/Daughter time with a couple of nights in Edinburgh (travel by train of course) visiting sights like the Castle, Scott Monument, a ride on the tram and going to Joseph and the Amazing Technicolour Dream-coat musical – all things I would not have had time for had it not been for my shoulder. April allowed Murray the freedom to attend his first Junior Feis Rois event. It’s a residential course held in Ullapool teaching music, Gaelic, sports and dancing and he made new friends, had new experiences and learnt about the heritage of the Scottish Highlands. To build on Murray’s experience at the Feis we spent the few days following the Feis in Lewis and Harris as a family. We saw otters, ancient ruins, the Lewis Chessmen, Callanish standing stones, the world-famous Luskentyre Beach, and enjoyed a visit to the Harris Distillery. We built a wee bit of business into the trip too, taking an early morning ferry to North Uist where we supported the local community by buying 16 prime cattle for our small farming business. It gave the children a better understanding as to where the animals come from whilst supporting the fragile communities of the Uists. We arrived home from our trip late on a Saturday evening. This wouldn’t have been an issue but I was riding in the Loch Ness Etape the following morning which meant a late night ahead of an early morning. This more than paid off though as to ride around the circumference of Loch Ness on closed roads with no cars is really too good to be missed. Maybe it was the lack of sleep but I could swear I saw something out there in that water! Our cattle arrived from Uist on Sunday and our Highlanders arrived the very next week! A week passed and we were into the month of May. The sun shone for the annual Strathconon family cycle. The whole family cycled the 20 miles from Scardroy to Marybank including Sophia – who was only 6 at the time! This enjoyable cycle is open to anyone, and not just locals. The week later brought a different challenge. Quinton from the Storehouse and Alex from Brahan Estate arranged a group of 20 to attempt to cycle the NC500 over a 48-hour period. We all picked a partner and would ride alternating, riding for about 4 hours on, and 4 hours off. We saw some amazing sights – and the low points only served to make the high points feel even better. Seeing a stag cross our path at 0300 at Clach-Toll. Cycling in complete silence over remote areas is a unique experience. Crossing Bealach Beag without jackets in sleet. Close to hypothermia until the support truck (Dad who’s nearly 70 and Robbie our Highland Farm Cottages’ gardener!) arrived and handed us warm clothing. Mid-May when we arrived back we received our Stage 1 building warrant so we started clearing the site for the café and followed this with building the foundations. Once this was achieved we agreed to let our builder complete the new community distillery at GlenWyvis so that our tourists wouldn’t be disturbed by building noise during the main summer season. This was the point that we got in touch with Luke and the team at Pelican for re-branding, new website, new photographs, re-marketing and new booking engine. Then the busiest summer season we’ve seen arrived! Highland tourism is up 27% this year. A mixture of the weaker pound, the “Outlander effect”, the NC500 and the perceived terror threat around airports and some other warmer holiday destinations have made Scotland the new ‘place to be’. My feeling is that if we embrace this opportunity we’ll see repeat business arrive year on year, and that’s what we’re trying to achieve. June – Family day-trip to Landmark activity centre near Aviemore, which the kids loved! It really is good outdoor fun for all the family. In addition to this, June saw both the Evanton Hill race up and down Fyrish, and our team of three complete the 50-mile Highland Cross in a new team-best time. As well as being the event of the year that most locals train for, it’s an amazing charity event changing the chosen charities every year so that lots of the smaller charities get a chance to win funding. The town of Beauly on Highland Cross day has quite the carnival atmosphere. July and the start of the school holidays. We started with hiring a camper and gong to Gairloch for a weekend to take part in the Gairloch Highland Games held there by the Clan Mackenzie. Our family along with 8 other families from Evanton went for the weekend. Our team reached the semi-final of the tug of war and we all took part in the hill-race, and swam in the sea. The kids could all run around the beach and enjoy the freedom of having no school for the next 6 weeks. There was even instruction for them on how to toss the caber with Murray managing to get one caber tossed right the way over to 12 o’clock – it made his day and Mum and Dad may have been a bit proud too. It was a truly great weekend. A week later and the Highland Council arranged a try triathlon for kids in Alness. About 50 children from all over the Highlands swam, cycled and ran under the guidance of experienced Highland Council staff and triathletes. Even local Highland Cross winner and ‘Iron-Man’ Gordon Lennox was there to help out. It was inspiring to see how much effort these youngsters put in to what was a fun event and to hear how many wanted to taste more of the same afterwards. Well done Highland Council! Tom Baker came in mid-July to take all our lovely photographs of the cottages. He is very experienced and a delight to work with. He was also very complimentary about our cottages, which helped! By the end of July we agreed our new branding and had all the photos we needed. We were also in touch with Laura and the ball started to roll with regards to the narrative for our website. 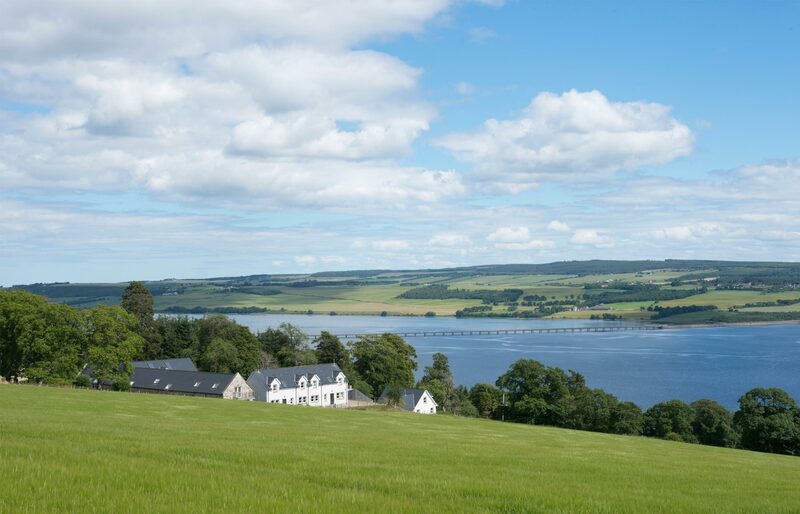 With such a busy summer it’s hard for us to spend any time away from Highland Farm Cottages. We did however manage a few days at Clachtoll by Lochinver on the West Coast. With no mobile phone signal or internet we managed to get a few days of family time and recharge the batteries. The beautiful beaches, the seafood and the landscape of this area are hard to describe. The kids enjoyed exploring the rock pools, eating the famous (and award-winning) Lochinver pies, jumping in from rocks into the gin-clear water and canoeing out into the bay where we (well, Amelia actually) caught mackerel for our dinner. BBQs in the evenings and the most stunning sunsets made these few days amongst our best in 2017. We drove there via Ullapool and timed it so that we’d have dinner from the famous fish and chip shop, eaten outside by the harbour. We drove back via the community-owned Falls of Shin restaurant and café which was a super end to our wee trip. August – my shoulder was getting stronger so I was able to swim again. My good friend Blair and I who completed the NC500 and Highland Cross together got back to swimming but this time in the great outdoors. Loch Achilty is a superb, clean and almost always-calm loch only 20 mins from Highland Farm Cottages. A week later when the kids wanted to get in on the action we took the canoe out onto Loch Achilty and they raced alongside, soon making a fair bit of ground on the us swimmers. These trips to the loch became family favourites and I’d recommend anyone that enjoys the open water to try this free-to use ‘open-water swimming pool’. Once you get used to not being able to see the bottom you start to look more to what is around you and it’s at that point that you really benefit from swimming outdoors in Scotland. The hills in all their fine colours surrounded by blue, grey or maybe not quite visible make swimming in a pool again feel just boring. A week later a group of us from Evanton travelled out to compete in the half-marathon as part of the Great Wilderness Challenge at Poolewe. Our group of 5 from Evanton all got in the top 10 with one of the group winning overall. We put it down to having Fyrish beckoning us all to run it at least once per week. We met up that evening with lots of other friends in Evanton Community woods where we had a community BBQ and we could swap stories of the now almost-over summer holidays. A couple of days after the schools went back one of our Highland cattle decided to play truant and spent a few hours on a Saturday afternoon playing in our garden. I was away so it was Dad to the rescue and by all accounts he quickly and calmly put her back to her friend in the field beside the holiday cottages. She didn’t come out again. There was lots of outdoor swimming going on, canoeing and family cycles. Murray and I went down to Birmingham to check out the national cycle exhibition and we took the time to visit Auntie Anne and Uncle Phil in Leicester as well as choosing our gifts from Santa this year! The day after returning from Birmingham was the Baxters Loch Ness Marathon. I ran this with a good friend of mine, Andy alongside another friend of his. Between us, Andy and I run the Kiltearn Primary Cross-Country team and are keen to continue promoting sport for kids but this day was about doing the sport ourselves. This is a truly amazing event, made special by the warmth of the supporters and stunning scenery of Loch Ness. I must’ve been pretty pleased to cross the line as I got a few messages that night to say that it was my face that was on the official marathon Facebook page. Captioned “that finishing feeling”, I gather the image was designed to entice runners to commit to next year’s event soon after finishing this year’s.